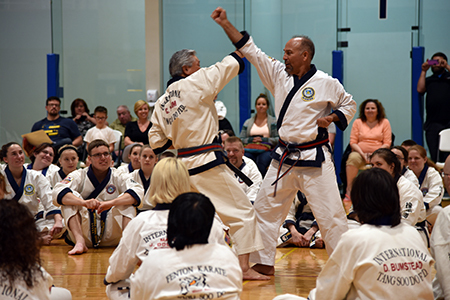 Our 4th degree master and 2nd degree black belt instructors will prepare you to advance in Tang Soo Do, competitions, and life! Karate is more than just a method of self defense or a fitness hobby—it’s something you can integrate into your everyday life as you train your mind and body to be better. Whether you want to learn how to protect yourself or just want a way to stay sharp physically and mentally, Dow’s Karate & Fitness welcomes you. We teach the Tang Soo Do modality of karate in Price, UT, upholding the core tenants of this style: loyalty, brotherhood, respect and honor. We’ll teach you the movements and the mentalities associated with this style, so you can harness them to become the best version of yourself. Our dojo is open to everyone and we relish the opportunity to teach pupils young and old. We commonly teach children whose parents want them to invest time in a constructive and engaging activity, along with adults who want to learn self defense in Price, UT. We also welcome whole families, who want to spend time doing something together! Our dojo gives you everything you need to succeed: from expert instruction to access to the right equipment, all in a friendly and inviting atmosphere. Let us share the Tang Soo Do style of karate with you, so you’re able to benefit from all of its teachings. Sign up for a class today and put yourself on the path to being calm, confident and fit! 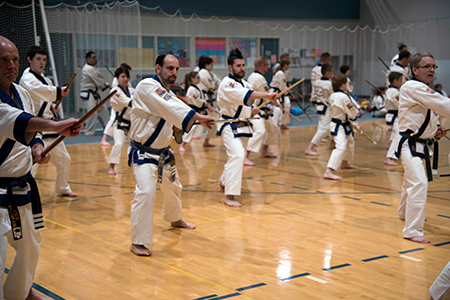 Our dojo provides classes for students of all ages, including children, adults, elderly, and even families who want to strengthen their bonds while they learn. We’re a member of the International Tang Soo Do Federation, which has a strong influence on our authenticity and credibility within the style. Dojo owner Larry Dow Jr. is a 4th Degree Black Belt and strives to help others attain the highest possible levels of proficiency. Loyalty, brotherhood, respect and honor are all traditional values that are emphasized at our dojo. We teach these above all else and always adhere to them. 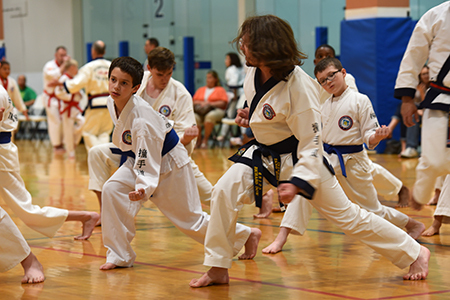 Because we focus on Tang Soo Do style, our students learn Korean as they learn movements, because it is taught in the truest and purest form. Become a student of the Tang Soo Do style! We’ll teach you everything you need to know, and we promise you’ll enjoy every class.